Bramham Horse Trials always attracts a top class field and this year is no exception. The international event is sponsored once again by Equi-Trek and will host its popular Equi-Trek CCI3*, British Equestrian Trade Association CIC3* and Bishop Burton College U25 CCI3* classes, but it is not part of the Event Rider Masters series this year. Ian Stark remains the cross-country course designer and has worked with David Evans and his team to produce this year’s challenge. 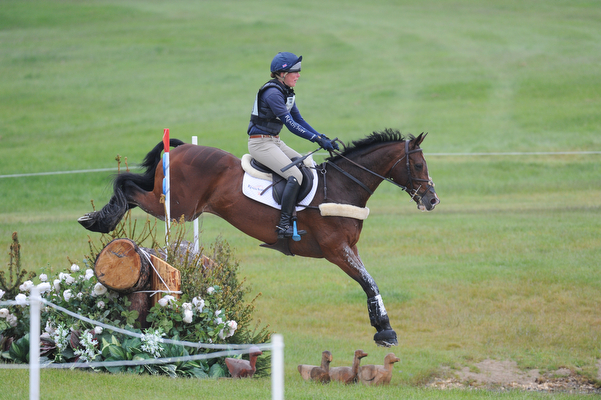 Alongside the top class eventing action, Bramham also hosts other top-flight equestrian competition, including affiliated and Pony Club showjumping, mounted games, Burghley Young Event Horse and showing classes for hunters and eventing youngstock. Every year many of the world’s top event riders head to Yorkshire for the Equi-Trek Bramham International Horse Trials in June. They compete for glory and a share of the significant prize money which is on offer against the stunning backdrop of Bramham House across four days of competition. As if the eventing action wasn’t enough, this top-class equestrian occasion also offers showjumping, young stock and breeding classes, alongside top flight showing and fast and furious Pony Club activities. All of this is set in around 450 acres of pristine parkland surrounding Bramham House, home to the Lane Fox family. The expansive natural auditorium provides the perfect setting for watching the action. Saturday is cross-country day where the riders tackle Olympic legend Ian Stark’s cross-country course.